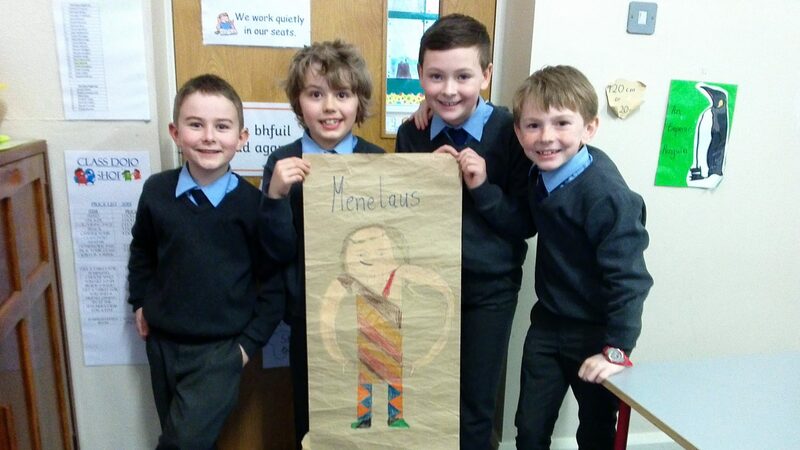 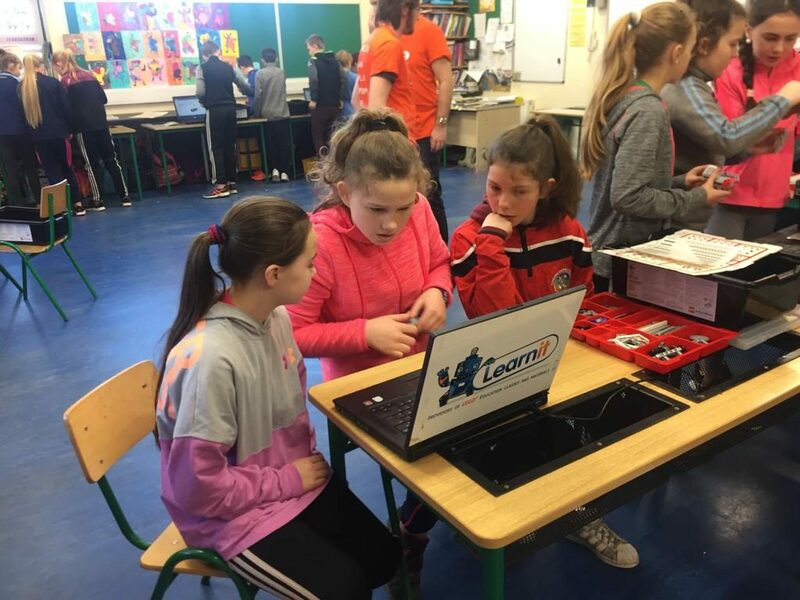 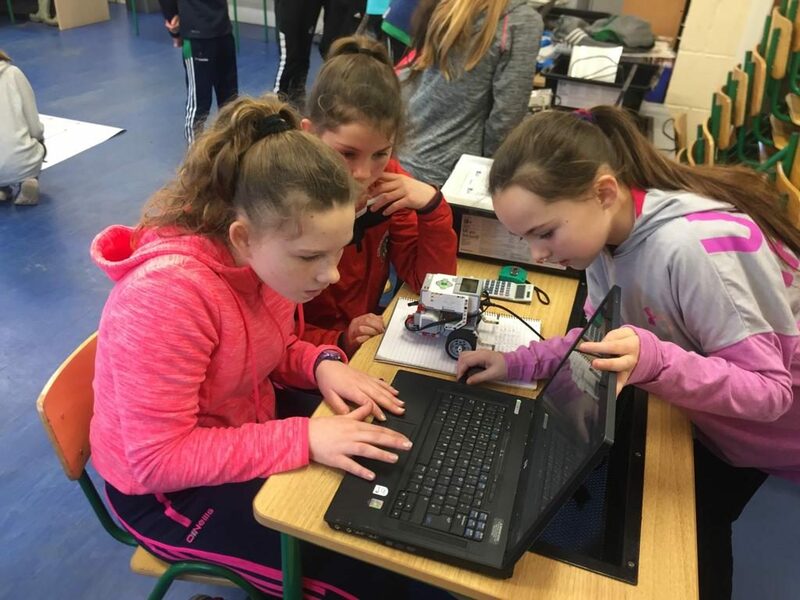 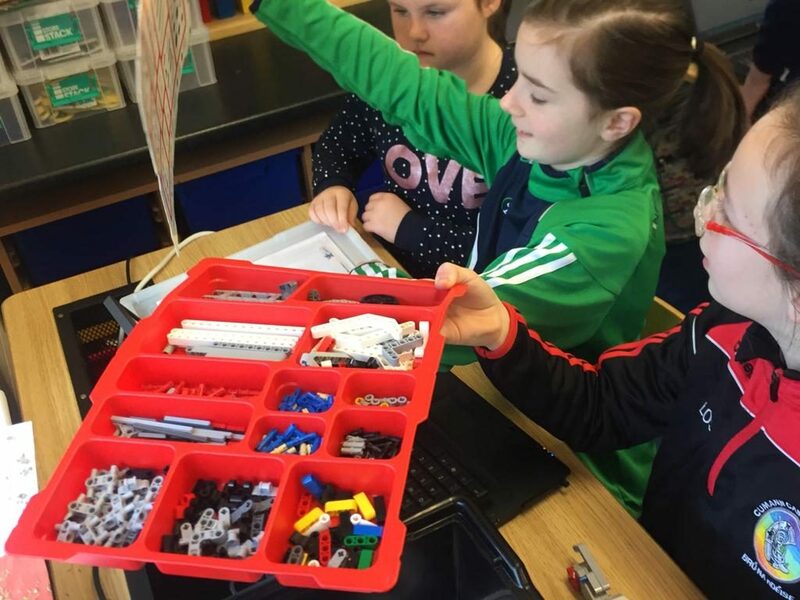 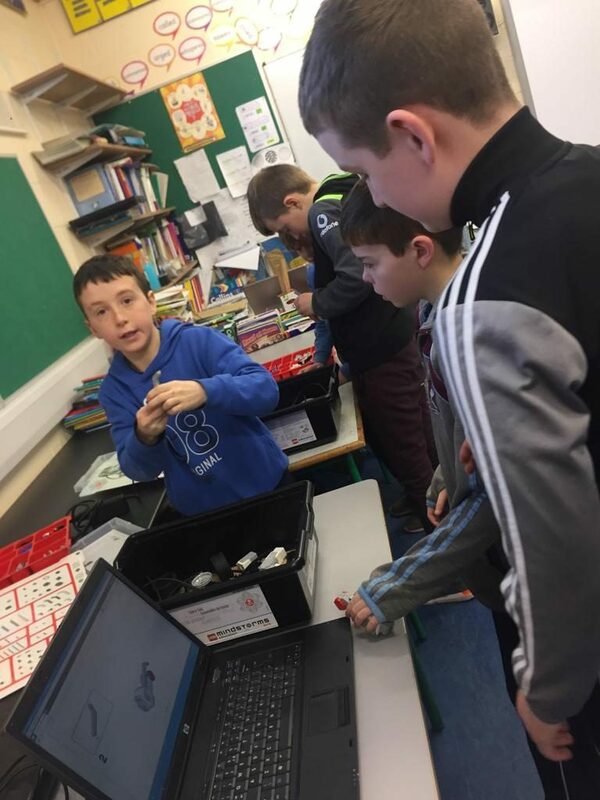 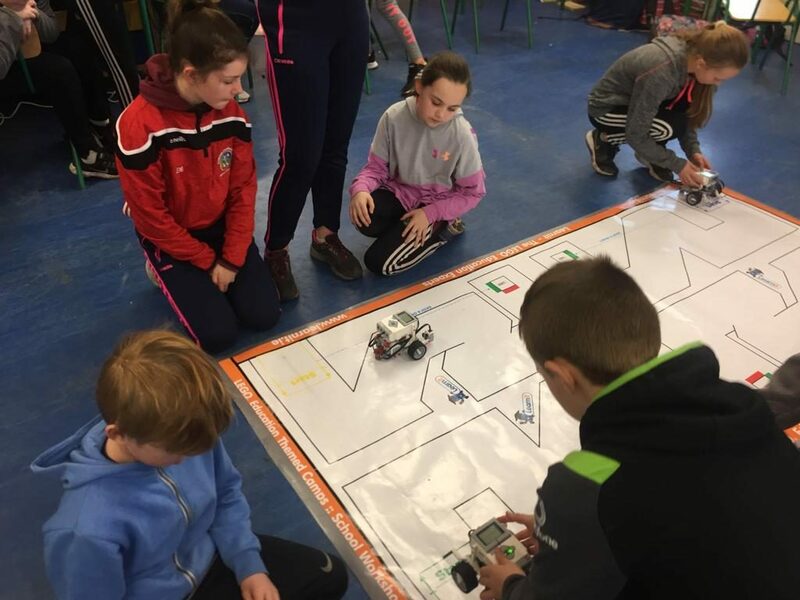 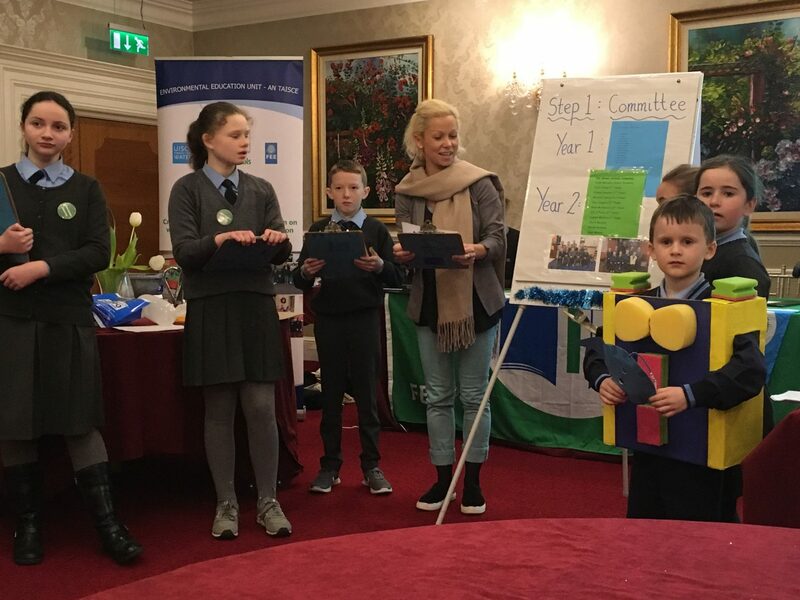 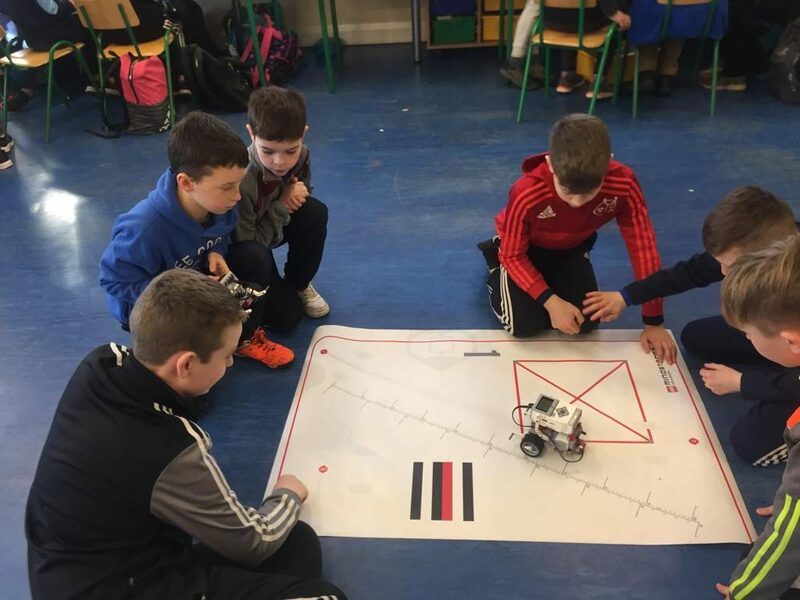 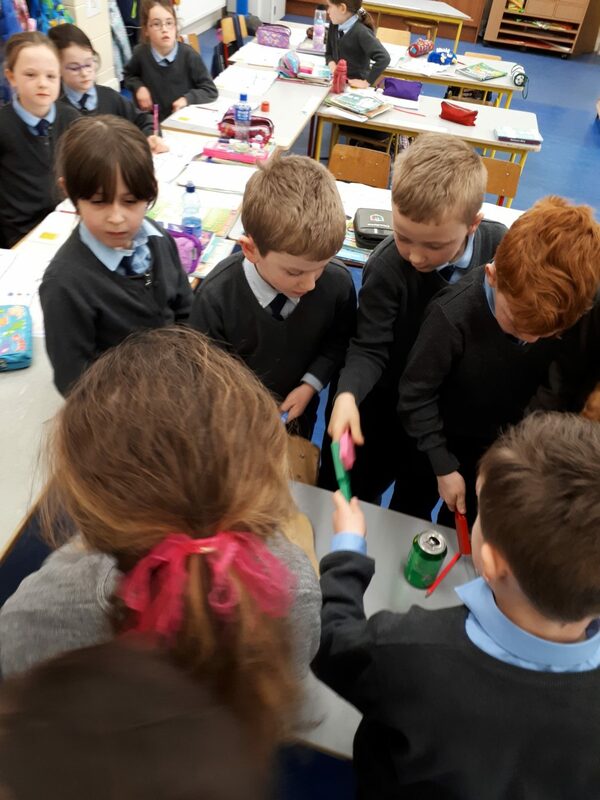 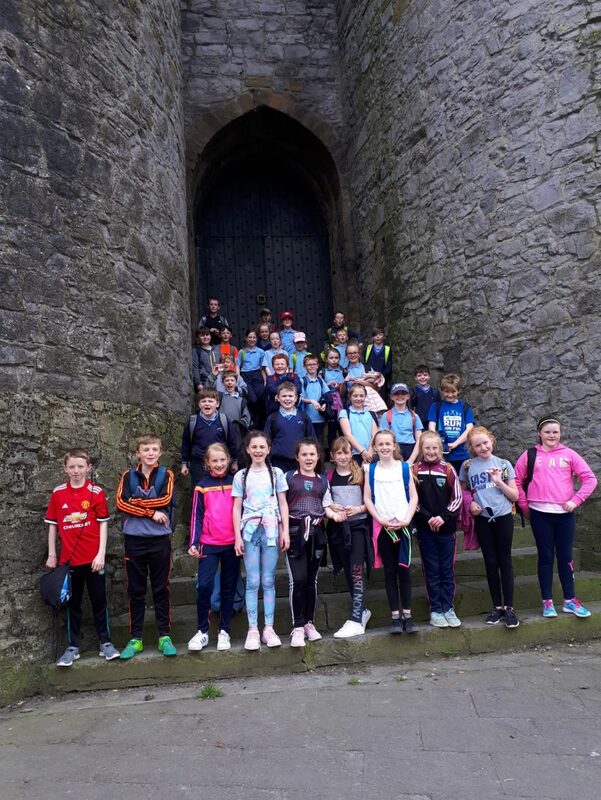 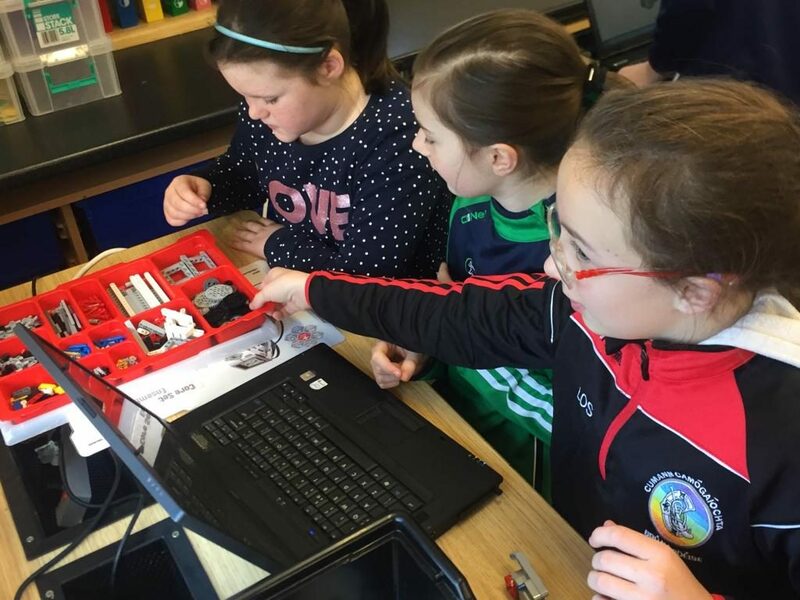 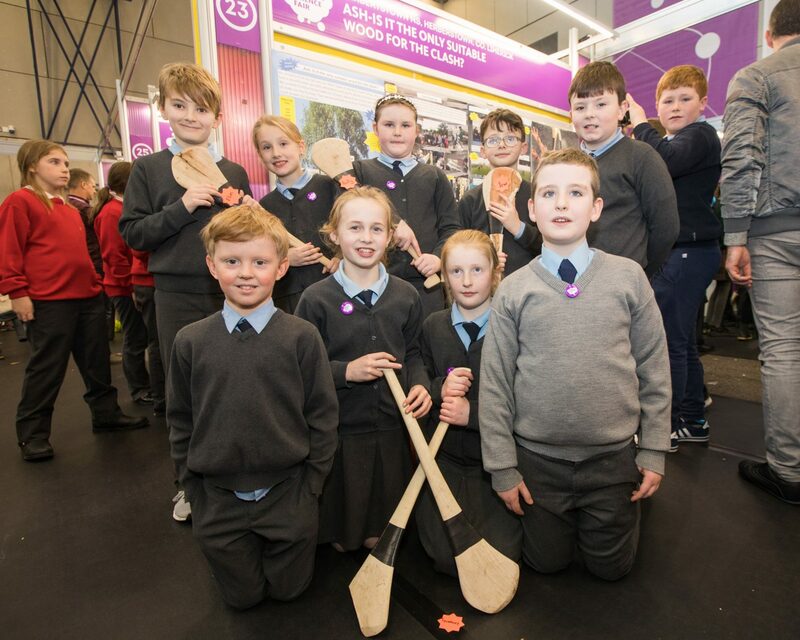 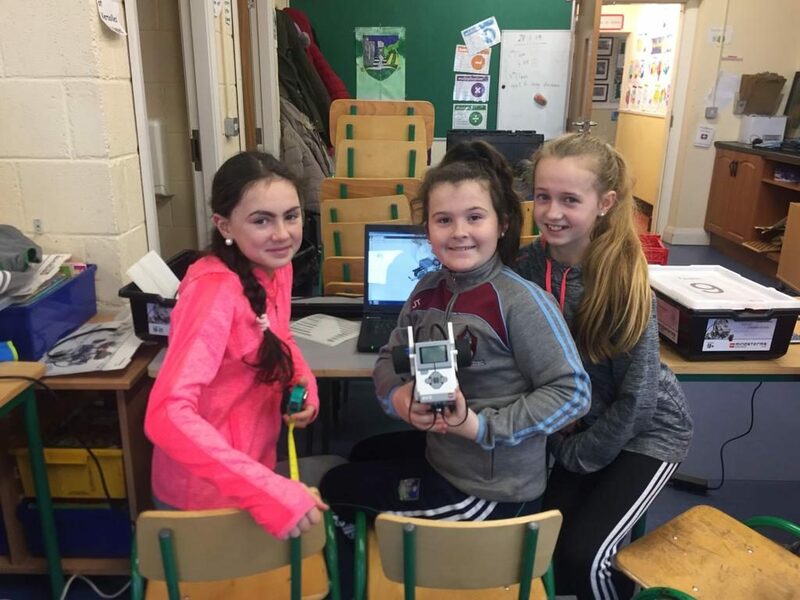 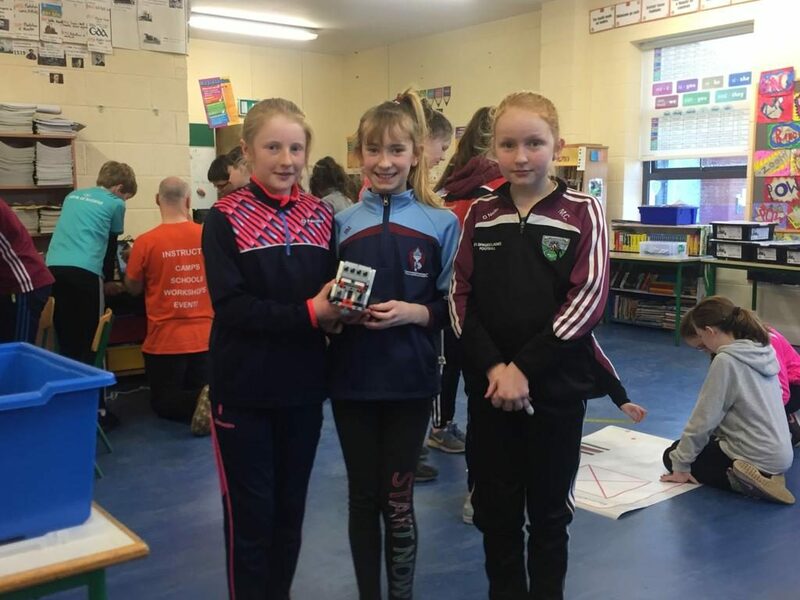 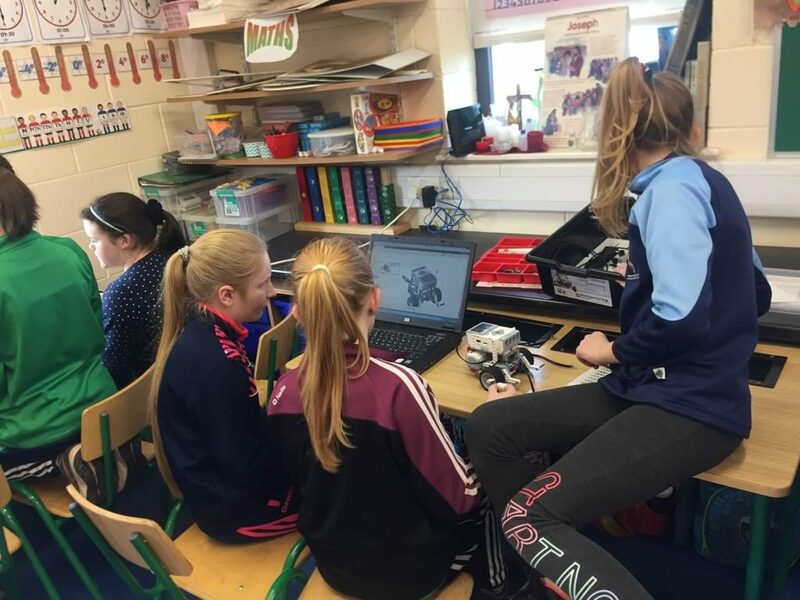 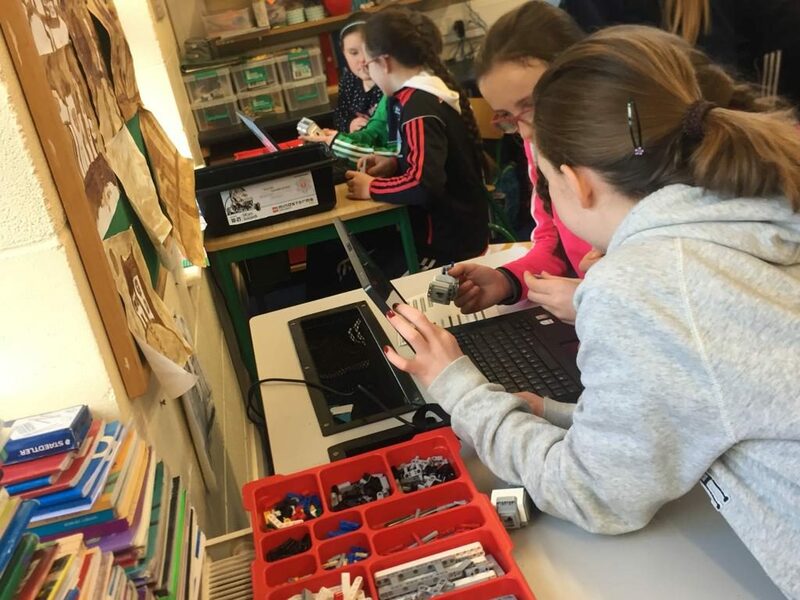 Yesterday on Tuesday the 29th of January, 5th and 6th class took part in the Learn it Lego Robotics competition. 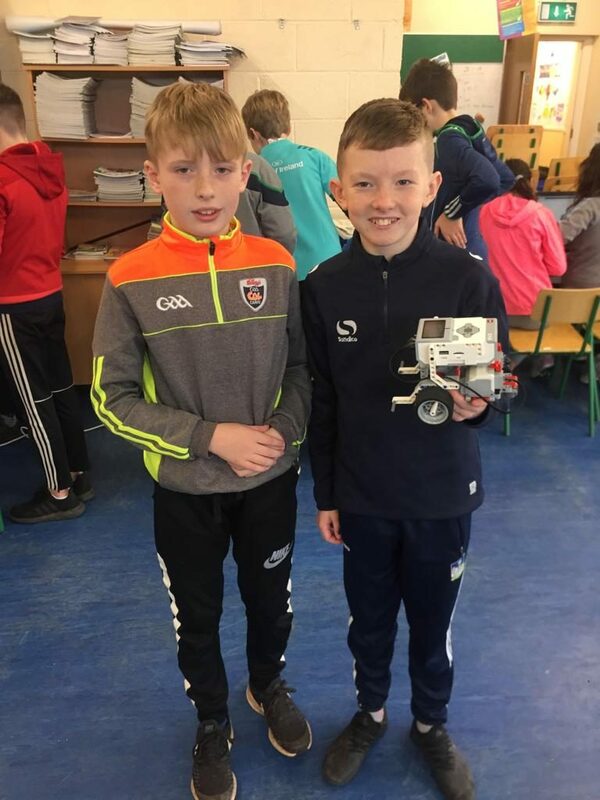 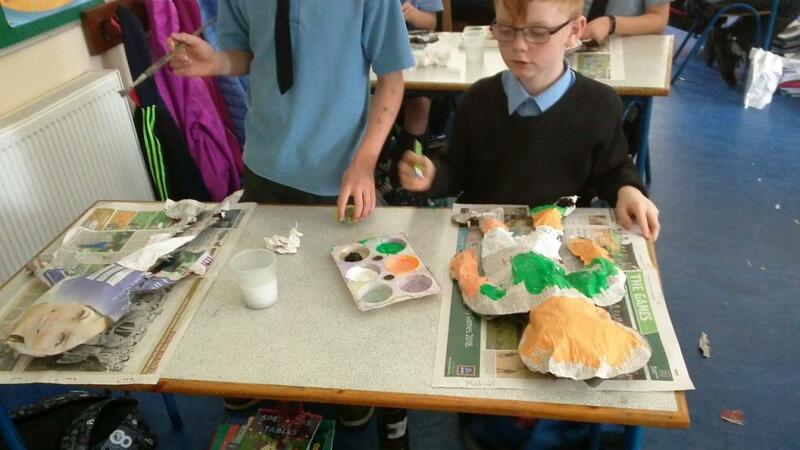 At ten o’ clock two people called Fergal and Cormac came in to show us how to build and program our robots. 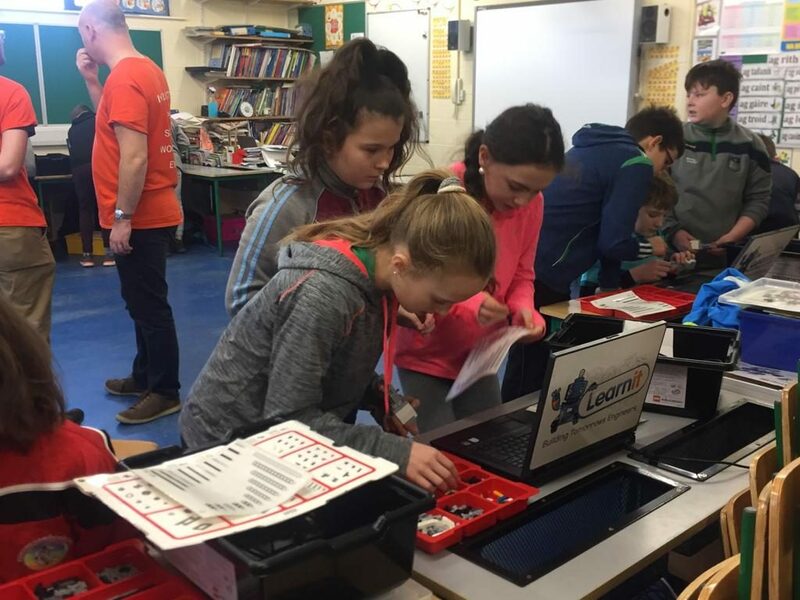 We were put in to groups with a box of Mindstorm Lego and a computer between us. 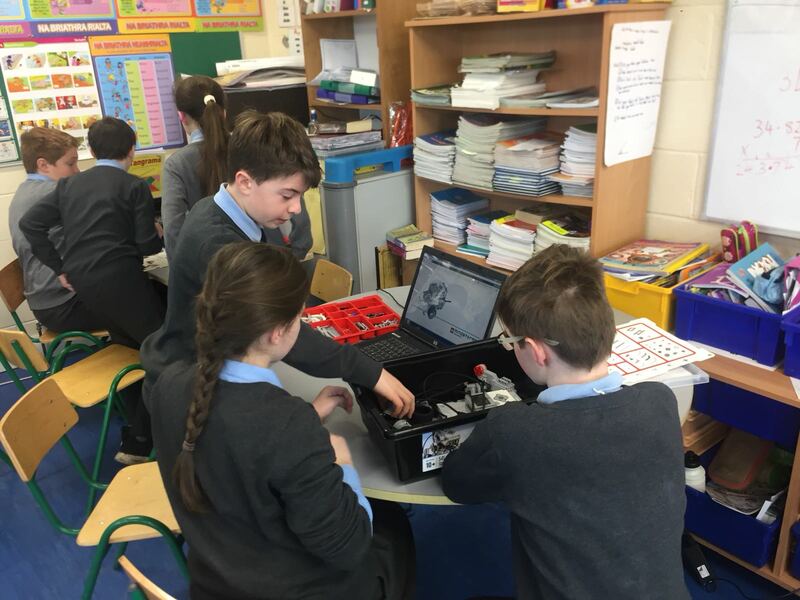 The first thing we had to do was build our robots using instructions on our computers. 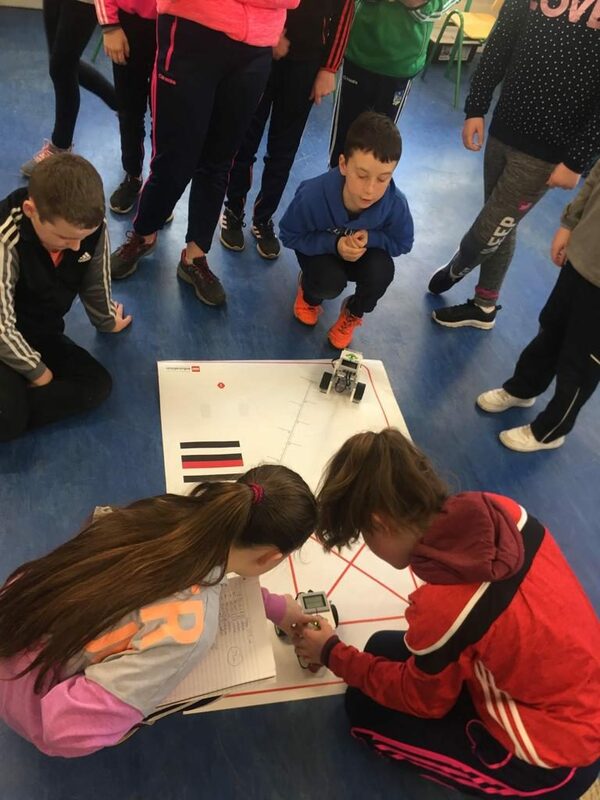 After we had built our robots we learned how to program them, our first task was to program it to go back and forth a certain distance. 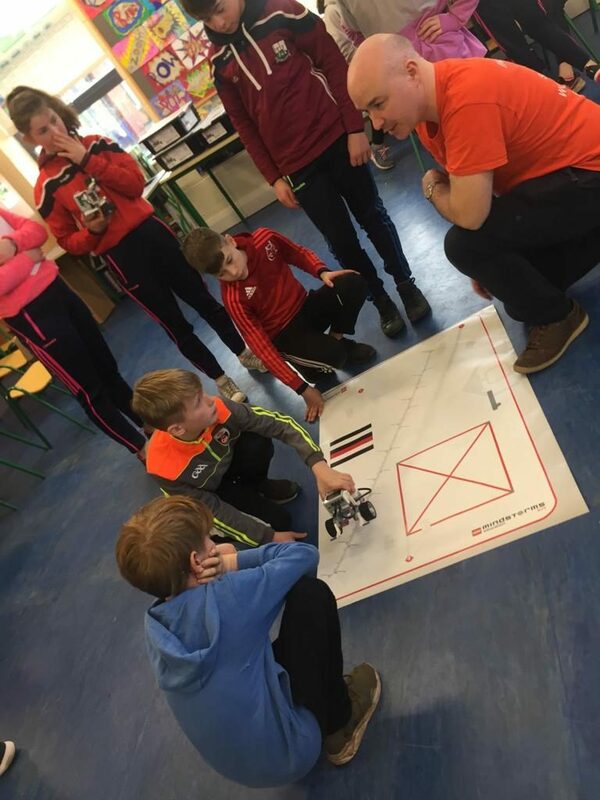 When we had mastered back and forth, Cormac and Fergal laid out a map of a maze. 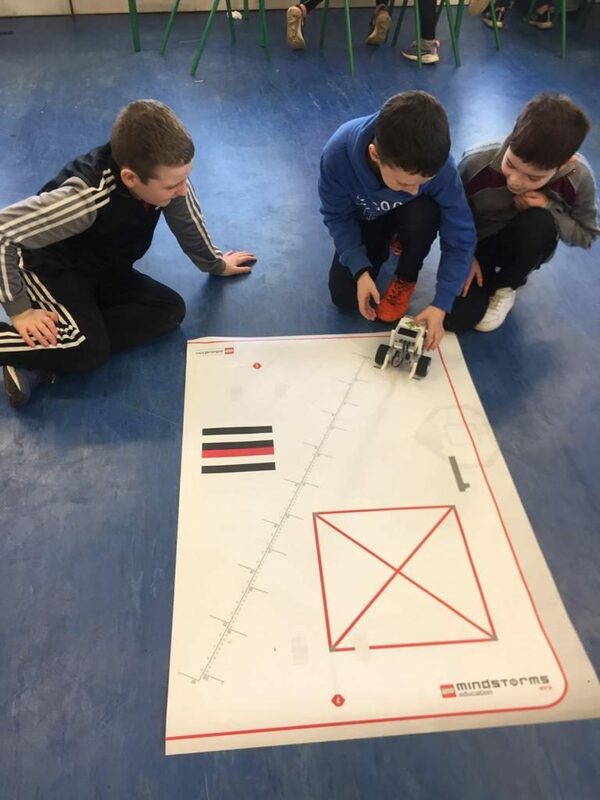 Our task was to get around the maze without going outside the black lines, it took a lot of measuring and being precise to finally get around the maze. 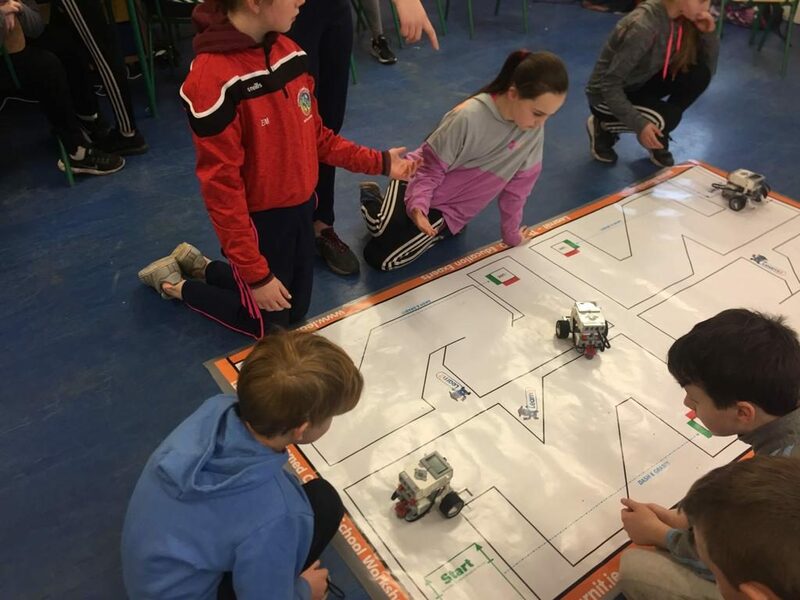 If you had conquered the maze you could add on the colour sensor to detect different colours. 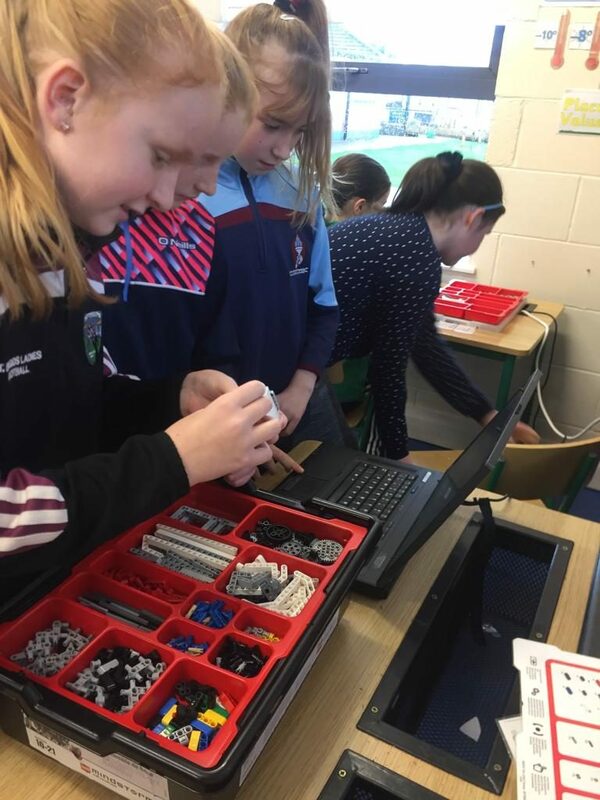 One team containing three six class girls got to the last stage which involved building an arm for your robot and programing it to pick up a coloured cube. 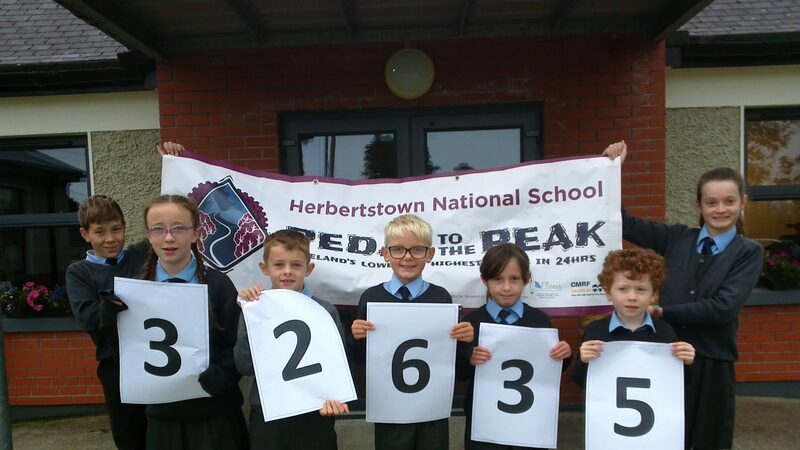 At the end of the day they announced the winner. 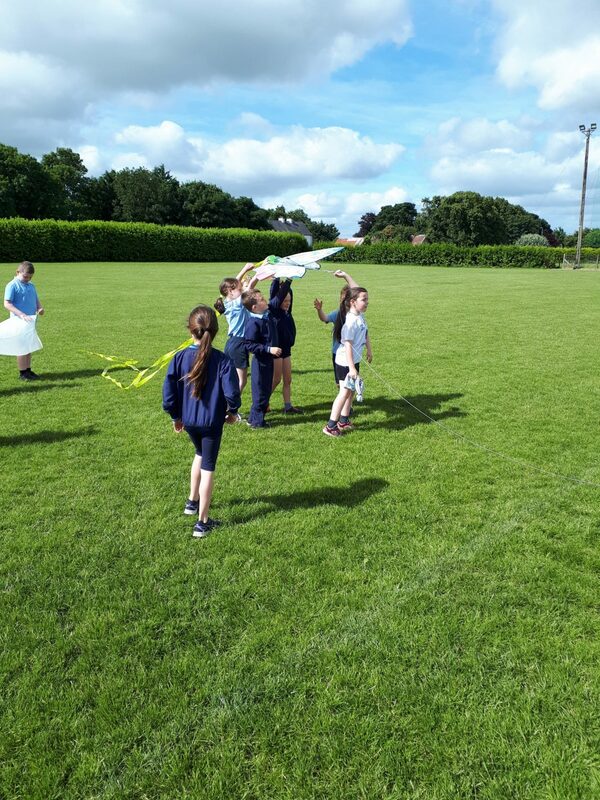 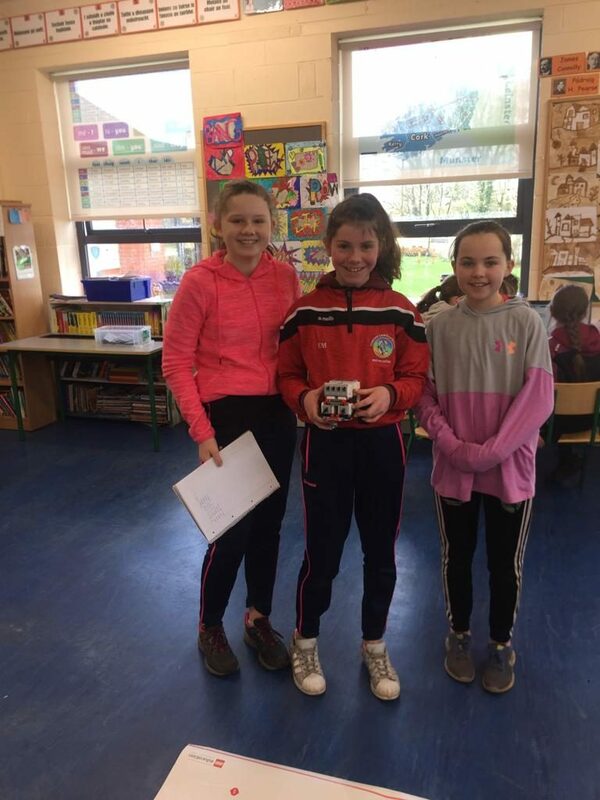 The runner up was Team 1 Lillian, Holly and Keelin, and the winners were Team 9 Ella, Eva and Chloe. 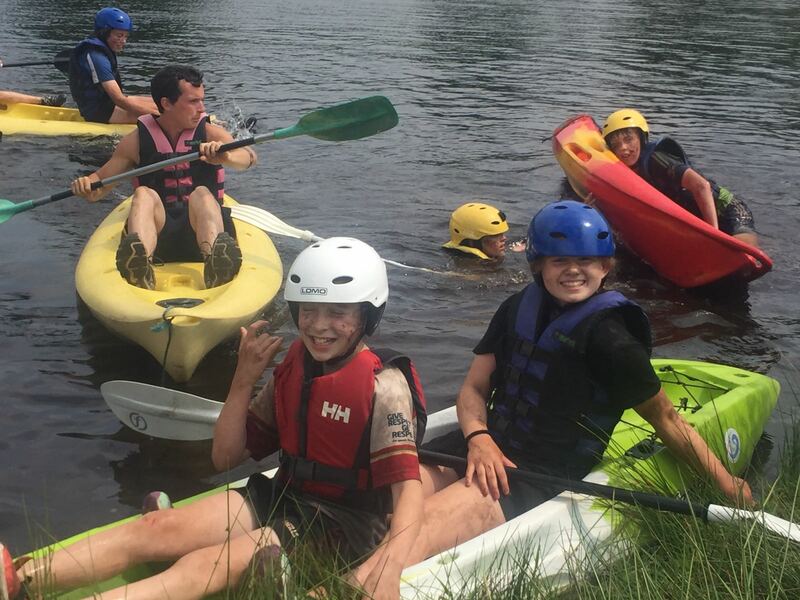 Overall it was a brilliant day. 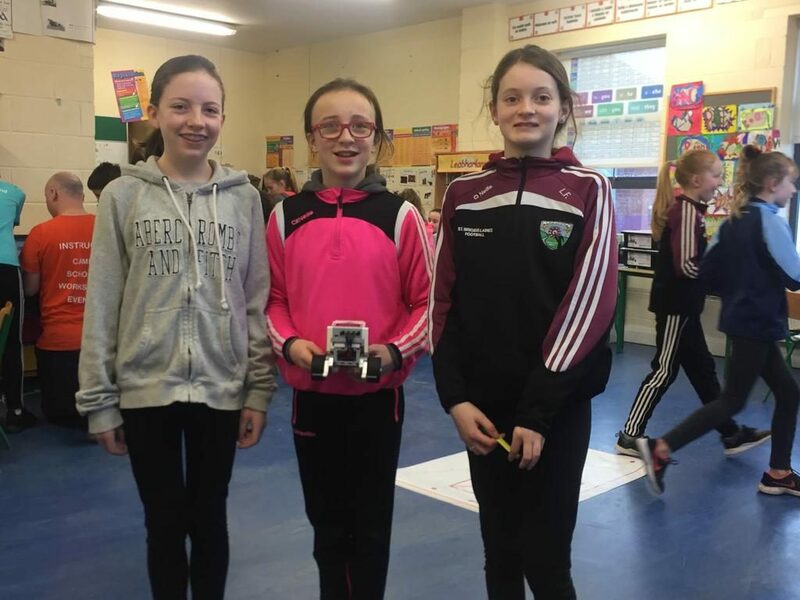 The three girls will be going to the final on the 3rd of March in Analog Devices.